SAN FRANCISCO -- Google is moving beyond its cloud and into customers' data centers. To address enterprises' hybrid cloud demands, Google will extend its container and microservices technologies from Google Cloud Platform (GCP) to users' in-house servers or edge devices. The Google Cloud Services Platform, planned for early preview later this year, aims to provide a uniform, end-to-end architecture to build and manage applications, whether they're developed on the cloud or if they already exist on premises. The Google Cloud Services Platform ties together several existing services and open source projects, including Google Kubernetes Engine (GKE), Istio and Stackdriver. GKE On-Prem will be deployed in customers' private data centers, and Cloud Services Platform can, theoretically, be used to manage any Kubernetes cluster, even those on other public clouds. The platform can manage multiple clusters, enforce policies and manage upgrades across environments, as well as centralize logging and monitoring. Stackdriver Service Monitoring will extend GCP's logging and monitoring tools to on-premises deployments. A managed version of the open source service mesh Istio in GKE will enable customers to troubleshoot microservices' problems and manage network traffic and security. Google Cloud Services Platform also folds in Apigee API Management to work in conjunction with managed Istio. Customers will need to run agents on premises to link back to Google's cloud and manage clusters through GCP. Cloud Services Platform currently requires customers to use vSphere and Ubuntu, though Google pledged to support additional virtualization software and operating systems in the future. It's unclear when all these services will be fully available to customers. GKE On-Prem and GKE Policy Management, which syncs policies across clusters regardless of where they reside, will both be in alpha in the fall, Google execs said. Google Cloud Services Platform could fill a need, as container-based deployments proliferate across the IT industry. Customers mostly use Kubernetes on public cloud platforms, and all the major vendors offer some form of managed Kubernetes service. But some IT departments work with the container technology on premises or on internet-connected edge devices, and no one has emerged as the clear favorite for managed Kubernetes outside the public cloud. Betfair US switched to microservices and a container-based architecture as part of a move from on premises to GCP. The company is 95% in the public cloud now, but it may need to add some presence at various casinos in the U.S. as it expands to more regulated sports betting. "If we have to run some portion of our infrastructure on other people's premises, we could have a uniform deployment model in the cloud and on premises and help manage that," said Tim Morrow, CTO at Betfair US, based in Los Angeles. Other related products rolled out at the Google Cloud Next user conference here include a GKE serverless add-on that pulls serverless workloads into GKE; Knative, a set of open source serverless building blocks for container-based applications; and Cloud Build, a fully managed CI/CD platform. It's a lot less scary [to operate Kubernetes clusters] if this becomes a turnkey service that works more easily. Google's hybrid cloud approach is markedly different from its biggest competitor. AWS partners with VMware to provide an on-ramp to the public cloud for the virtualization pioneer's massive customer base. But the goal of that service is to provide a familiar environment on the public cloud, rather than application modernization. AWS has slowly pushed its technology beyond its own facilities -- most recently with the addition of EC2 to its Snowball Edge data transfer devices -- but it has so far given no indication it intends to become a full-blown provider of on-premises services. All major public cloud providers have developed a hybrid strategy, because it's clear customers will keep certain workloads in their private data centers for compliance and other reasons. It remains to be seen if customers will rewrite their existing applications to conform to the GCP model, either wrapped in containers or moved up the stack and linked to Istio. 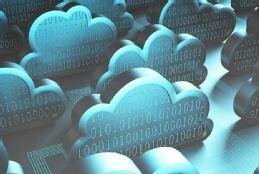 For heavily regulated companies, one of the biggest challenges in a cloud migration is they can't even test cloud-based services until the security team signs off on it, said Matthew Scott, vice president of alliances and strategy at Cloudability, a cloud optimization company based in Portland, Ore., that works with the major public cloud vendors. Google Cloud Services Platform could address that problem by giving companies a chance to get acclimated to the software in-house first. "If you're a customer and you're doing this migration [to the public cloud], you can get your team scaled up and booted ahead of time," he said. It also could help development teams ease into a new software development framework, said Erik Onnen, Cloudability's CTO. "The idea of operating your own Kubernetes cluster as an enterprise that's struggling to hire developers that even understand cloud is really daunting," he said. "It's a lot less scary for them if this becomes a turnkey service that works more easily." This isn't Google's first foray into a Kubernetes-centric hybrid cloud. A hybrid cloud option forged in partnership with Cisco last year is now included in the Google Cloud Services Platform ecosystem, but that is more tightly integrated with Cisco's tools. Google also has a hybrid partnership with Nutanix. How do containers and Kubernetes fit in your organization's hybrid cloud strategy?